A Magnets NZ Separation Technician can come to your premises to evaluate your ferrous contamination requirements offering a magnetic solution units designed specifically for your product, ensuring the correct solution is offered. 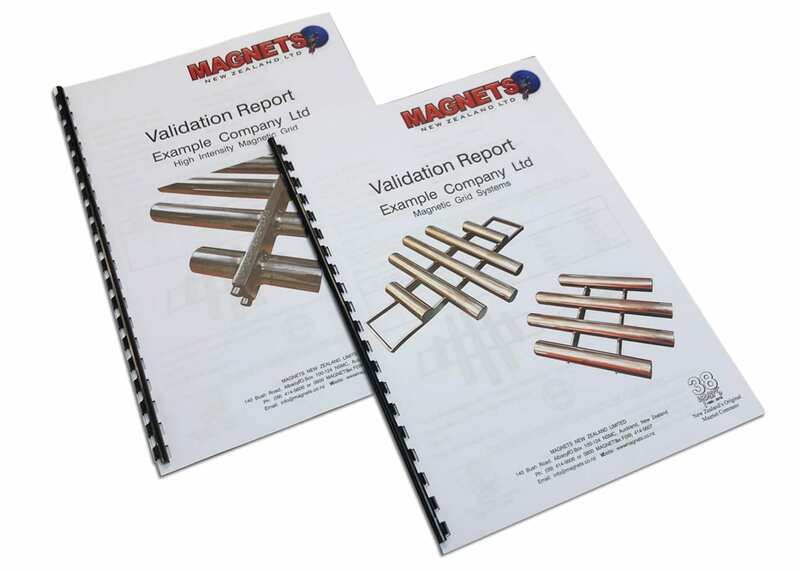 This entails a two page report detailing a magnet evaluation including: magnet condition, gauss strength readings and recommendations on replacement units if needed. A magnetic separation technician can either come to your premises or can be sent to our premises for testing. 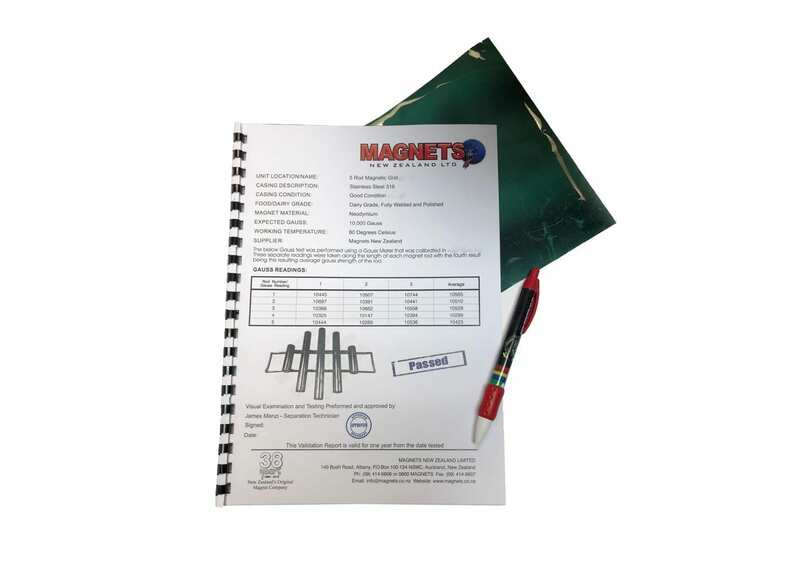 Most clients require a yearly magnet report so please contact our Separation division when this is due or you need to know if the magnet is performing up to specification. 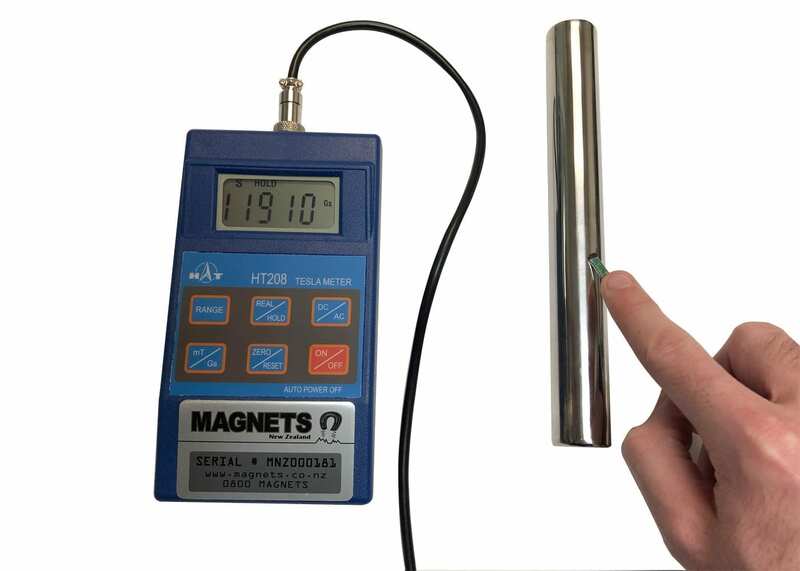 All Auckland site visits are free of charge unless we are testing and reporting on any existing magnets. There is a small charge for each magnet report. (See below for report costs) If outside Auckland, a travel fee is required. This also covers reporting on what is necessary to solve your contamination problem and we will offer either a 50% or 100% travel reimbursement on orders placed. Have any questions, want to know more about our validation reports or need to get your magnetic systems checked? Use the form below & our separation technicians will contact you.